Need a colourful appetizer for your next party? 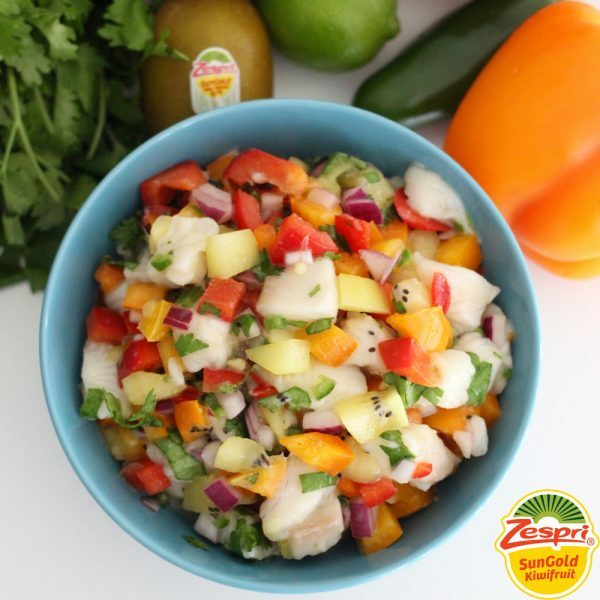 Make this Sungold Kiwi Ceviche to enjoy on crackers, chips, or in lettuce wraps. 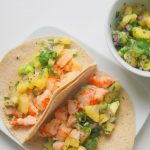 Super refreshing, healthy, and delicious! 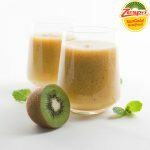 In a large glass or ceramic bowl (do not use metal) stir together lime juice, mashed SunGold kiwi fruit and fish. Cover and refrigerate for at least 1 hour and up to 4 hours, stirring halfway through marinating time, until fish is opaque. Drain the excess lime juice from the marinated fish. Stir together the marinated fish and the kiwi fruit vegetable mixture. Keep refrigerated or serve in a bowl over ice. Enjoy with crackers, chips, or in lettuce wraps.